Featured Image: Shinya Suzuki, Hiroko’s Place. During the humid summer of 2007, I was visiting my grandparents’ house in a placid, harbor village in Japan. Flipping quickly through the TV channels, one show caught my eyes; a famous chef from Tokyo was showing how to create the “perfect” omurice. Astounded by the magical appearance of that omurice, I asked my grandma if I can learn how to make an omurice. The result was not the “perfect” omurice; in fact, it might have been the complete opposite. However, I was genuinely happy that I was able to make an omurice. The first food I learned how to make from scratch was omurice. In 21st century culture where sustainability is regarded as important, we must analyze if omurice is sustainable or not. And if not, how can we make it more sustainable? 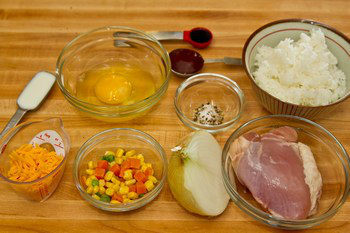 The creation of a classical omurice requires numerous ingredients: onions, chicken thighs, virgin olive oil, mixed vegetables, salt, pepper, Japanese short grain rice, eggs, milk, sharp cheddar cheese, ketchup, and soy sauce. These ingredients are far from sustainable. First of all, cheese and chicken thighs leave a significant carbon footprint. According to the article, “Food’s Carbon Footprint,” one kilogram of cheese produces around 13.5 kilograms of carbon dioxide and one kilogram of chicken produces around 6.9 kilograms of carbon dioxide. Since carbon dioxide directly causes global warming, the use of these ingredients harms the environment. Secondly, the Japanese short grain rice lacks accessibility. In countless grocery stores around the United States, they do not place specific international foods such as the Japanese short grain rice. To make an omurice in the States, this must be substituted with other types of rice such as medium grains or long grains. Despite its unsustainability in environmental and social aspects, omurice is extremely sustainable in economic terms because one serving of omurice can be created with less than five dollars. The difficulty in acquisition of ingredients in general also raises questions to accessibility. In Rebecca Burns’s “Stranded in Atlanta’s Food Deserts,” she illustrates the reality in Atlanta where “thousands of people can’t get fresh food, and some are getting sick—even dying—as a result.” Even as one of the richest cities in the world, Atlanta suffers so called “food desert” where underprivileged people have minimal or no access to a grocery store. It is a natural law of a capitalistic society for apartments and houses with higher access to facilities to increase in price due to an increase in demand with no growth in supply. As a result of this, poorer populations are pushed out due to the inability to keep up with the price increase. Furthermore, executive leaders refrain from opening grocery stores in impoverished areas due to the fear of not making money. This “food desert,” which is seen in countless number of cities, makes it nearly impossible to maintain the accessibility of ingredients. To make omurice more sustainable, multiple revisions could be made to the recipe. One way to revise the omurice is to completely take out the cheddar cheese which leaves a significant carbon footprint. When omurice was first created in Japan, it did not contain cheese because of its high price; even without cheese, omurice can hold onto its identity. Also, the production of chicken thighs produces large amounts of carbon emissions. However, the texture of chicken thighs adds flavor to the omurice. The chicken thighs can be replaced with extra-firm tofu which produces less carbon dioxide, specifically 2.0 kilograms of carbon dioxide per kilogram of tofu in comparison to 6.9 kilograms produced by chicken thighs, than chicken thighs. Optionally, chicken thighs can be replaced with crickets in cultures where eating insects is a norm. More than 25% of the people in the world consumes insects in their daily lives. Crickets require much less resources to harvest and produce less greenhouse gases while being highly nutritious. To make the ingredients accessible to people, Japanese short grain rice can be replaced with medium grain rice which can be found in most grocery stores. Medium grain rice also requires more water to cook and holds more water than a short grain. Increased water content contributes positively to the large amount of water that is recommended for a healthy body. Including all of these revised ingredients, omurice has a balanced amount of nutrients, making it a healthy choice. Putting aside the problem of “food desert,” the revised omurice is more sustainable by providing environmental and social solutions. The traditional omurice recipe did not appeal to the idea of sustainability. However, through multiple revisions, omurice was able to become more sustainable. In The Omnivore’s Dilemma by Michael Pollan, the author describes how as an omnivore, “the surfeit of choice brings with it a lot of stress” (4). Although the abundance of choice may contribute to stress, our omnivore characteristic gives us freedom. Whether it is eating a veggie burger instead of a normal burger or replacing chicken thighs in an omurice with tofu or crickets, we have the option to pick depending on individual tastes and beliefs. Your diet can change drastically from religion, culture, society, or even a five-minute youtube video that you saw in your English class. This abundance of choice, this freedom, and this flexibility make any dish “perfect” in its own way. Whisk 1 egg and 1 Tbsp milk in a small bowl. Heat 1 Tbsp olive oil in the pan over medium-high heat (make sure the surface of the pan is nicely coated with oil). Add tofu or crickets and cook for appropriate lengths. Put the divided fried rice on top of the omelette. Burns, Rebecca. 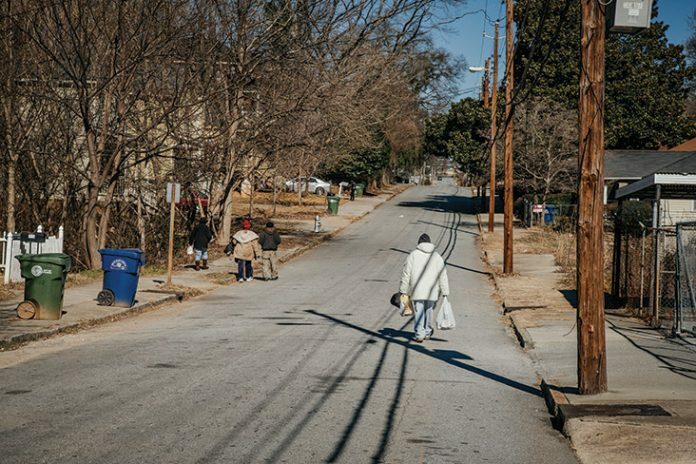 “Stranded in Atlanta’s Food Deserts.” Atlanta Magazine, 12 July 2018, www.atlantamagazine.com/great-reads/stranded-in-atlantas-food-deserts/. Carol, Buenosia. “Pexels.” Pexels, 7 June 2016, www.pexels.com/photo/cat-egg-fod-437777/. Chen, Nami. “Omurice (Japanese Omelette Rice).” Just One Cookbook, 12 June 2018, www.justonecookbook.com/omurice-japanese-omelette-rice/. Niassy, Saliou. “Eating Insects Has Long Made Sense in Africa. The World Must Catch Up.” The Conversation, The Conversation, 18 July 2018. Stradley, Linda. “Rice Water Ratio – How To Cook Perfect White Rice Recipe, Rice Cooking Chart.” What’s Cooking America, 5 Aug. 2017, whatscookingamerica.net/Pasta_Rice_Main/Perfect-White-Rice.htm. Suzuki, Shinya. “Hiroko’s Place.” Flickr, 5 Apr. 2014, www.flickr.com/photos/shinyasuzuki/13650567885. Xelvis, Benny. “Taimeiken.” Photozou, Tokyo, 31 Oct. 2011, photozou.jp/photo/show/352665/106234833.